What should we call the literary age of Vasily Grossman, who wrote Life and Fate, the greatest Russian novel of the twentieth century? There was the “Golden Age,” from Turgenev and Goncharov to Tolstoy, Dostoevsky, and Chekhov. The “Silver Age,” interrupted by the Revolution of 1917, had Blok, Gumilev, the young Mandelstam, Pasternak, Tsvetaeva, Akhmatova, Khodasevich, Mayakovsky, Bely, and the future Nobelist Bunin. But for what followed we have no name. Yet has there ever been, anywhere, a pleiad as richly talented, and as thoroughly decimated, and as cruelly tormented, as the generation of Russian writers born around the end of the nineteenth century or, like Grossman, in the first few years of the twentieth? On Trilling’s “bloody crossroads” of politics and literature, has bloodier politics ever met finer literature? They wrote in the shadows of Lubyanka and the watchtowers of the Gulag, the pre-dawn shots in the back of the heads of their marshals and prime ministers, colleagues and professors, neighbors and friends, ringing in their ears. Yuri Olesha and Boris Pil’nyak, Isaac Babel and Mikhail Bulgakov, Yevgeny Zamyatin and Yuri Dombrovsky, Varlam Shalamov and Andrei Platonov. Gumilev, Pil’nyak, and Babel were shot. Mandelstam died in his first months in the Gulag, most likely driven mad and starved to death. Tsvetaeva hanged herself. Mayakovsky shot himself in the heart. Dombrovsky and Shalamov each spent nearly two decades in the Gulag. “The age of a wolfhound is jumping on my back,” Mandelstam wrote in one of his finest poems. Grossman saw the wolfhound in action: his mistress was arrested, and so was his second wife. His friends, the young writers Boris Guber, Ivan Kataev, and Nikolai Zarudin, who encouraged him to write and helped with the first publications, were shot in the Great Terror of 1937. Grossman died of lung cancer, impoverished and ostracized, in 1964, three years after the KGB found and destroyed all but the two hidden manuscripts of Life and Fate. (They would be edited, combined, and published in 1988.) 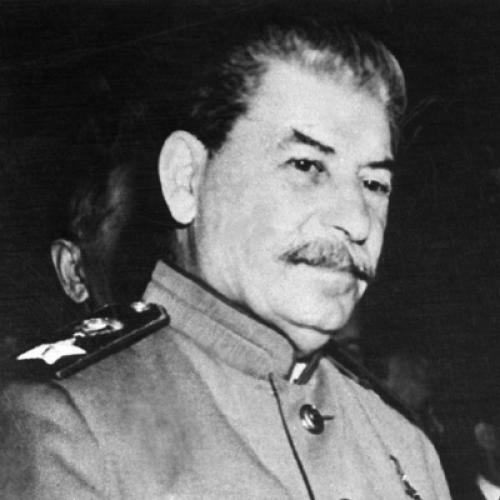 Even as he was dying, he continued to polish his other masterpiece, Vsyo techyot, which has been translated as Forever Flowing, a sparsely plotted meditation on the sources and the mechanisms of Soviet totalitarianism, and one of the most powerful artistic disquisitions on modern tyranny ever penned. For twenty years, between 1968 and 1988, Grossman’s name was forbidden to be mentioned in print. In the wolfhound poem, Mandelstam pleads with his age to leave him alone. It is all a mistake, he writes, “I am not a wolf in my blood.” He dreams of hiding from it all, of being stuffed, like a winter hat, into “the sleeve of the hot fur coat of the Siberian steppes,” where he would no longer see “the coward, the thin mud, the bloody bones in the executioner’s wheel.” But Grossman sought out his age, in all its perverse and insatiable cruelty, all its revolting lies. Although sick at heart and at times on the verge of collapse, he would not avert his eyes from the wolfhound’s jaws. He wanted to look his age in the eye—and, by understanding the wellsprings of its horrors, to make it blink. He was a “political writer” of genius, like Orwell. The most difficult thing, Viktor Shklovsky wrote in his unsurpassed biography of Tolstoy, is to understand how a writer of genius is “constructed.” The Road will help to do this for Grossman. Among its many treasures, this carefully, even lovingly produced and meticulously edited book, complete with excellent biographical and textual notes, is an indispensable record of Grossman’s road to Life and Fate. The translations by Robert and Elizabeth Chandler with Elena Mukovnikova are competent and at times inspired. I have only a few cavils about the smoothing over of some of Grossman’s occasionally long and shaggy sentences—the syntactic imprints of his anguish, his unfinished and unfinishable moral and intellectual questings—and about the reliance upon more conventional English words to translate the rougher but fresher Russian originals. I have fiddled a bit with the translations of some of the passages I cite here. It all began with the novella “In the Town of Berdichev,” Grossman’s first publication, which instantly established him, in 1934, at the age of twenty-nine, as a rising star of Soviet letters. It is a story of a pregnant Red Army commissar who during the Soviet-Polish war of 1919-1921 leaves her regiment to give birth in the house of the worker Haim-Abram Magazanik, his wife, Beila, and his seven children in the Ukrainian town (which was also Grossman’s birthplace and before the Holocaust the home of a large Jewish community). half-opening the door, [Beila] cried out triumphantly, “Haim, children, it’s a boy!” And the entire family clustered in the doorway, excitedly talking to Beila. Even the blind grandmother had managed to find her way over to her son and was smiling at the great miracle. She was moving her lips; her head was shaking and trembling as she ran her numb hands over her black kerchief. She was smiling and whispering something no one could hear. The children were pushing her back from the door, but she was pressing forward, craning her neck. She wanted to hear the voice of ever-victorious life. In 1967, one of the most talented young Soviet film directors, Aleksandr Askol’dov, made a very fine movie called Komissar, based on the story. In the final scene, added by Askol’dov, the commissar’s son, adopted by the Magazaniks, walks with them and the rest of Berdichev’s Jews to be shot in 1941. It was instantly forbidden for distribution and all prints of the film were ordered destroyed. Askol’dov lost his job, was expelled from the Communist Party, exiled from Moscow as a “social parasite,” and banned for life from making movies. One miraculously saved print enabled the film’s release in 1988. It is almost always awkward, and occasionally painful, to read the greats backward, from their late works to their early ones. Great writers take time to ripen. More often than not, juvenilia are marginalia. Mercifully, there are, in addition to “Berdichev,” only two early stories in The Road, and none nearly as interesting. Yet there, too, talent is unmistakable and enjoyable, the prose is beginning to turn direct and unadorned, and the world is observed in the same intensely precise way that would make it impossible, decades later, to read more than a few pages of Life and Fate without putting the book down to catch one’s breath. Grossman’s war articles were enormously popular with the troops, but most of what was published in Red Star in 1941-1945 was marred by primitive war propaganda. In a story reproduced in the book, German officers urinate and defecate in bed. The editors of The Road are wise, with Grossman’s uncensored and brilliant war diaries already translated and published in the West, to limit all but one of their wartime selections to what would torment and inspire Grossman until the day he died: the Shoah. If there is any substitute for love, Joseph Brodsky once observed about Nadezhda Mandelstam, it is memory: “to memorize is to restore intimacy.” In this matter Grossman had no choice. His beloved mother, Ekaterina Savel’evna Grossman, was shot on September 15, 1941, with the other Jews of Berdichev. Along with her last moments, he strained to imagine those of the millions of others, to endow them with what their souls were made of—habits, foibles, words, loves, memories—and thus wrench them from the murderous oblivion. For four years he worked with Ilya Ehrenburg on The Black Book, a meticulously documented testimony of eyewitness to the extermination of Jews in the Soviet Union and Poland, and in 1945 he replaced Ehrenburg as head of the editorial board. The book was ready for publication in 1946, but it was banned the next year, and the printer’s plates were destroyed in 1947.
on the bench near the well with a small volume of Chekhov. Resting the open book on his knees, he would keep looking at one and the same page, half closing his eyes and smiling a dreamy smile like that of a blind man listening to the noise of life. He was not reading, but the habit of having a book with him was so strong that it seemed necessary to him to stroke the rough binding and to check with his trembling fingers the thickness of the pages. The women sitting nearby would say “Look—the old teacher is asleep,” and go on talking about women’s matters as if he were not there. But he was not asleep. He enjoyed the warmth of the sun-warmed stone, breathing in the smell of onions and sunflower-seed oil, he listened to the old women’s talk about their sons- and daughters-in-law, caught the ruthless, frenzied vehemence of the boys’ games. Every now and then, the heavy wet sheets on the clothesline would flap like sails in the wind, and his face was sprayed with fine mist. And he imagined: he was young again and a university student sailing on a sea in a boat. But even a talent such as Grossman’s was powerless to reclaim souls from an abyss such as Treblinka, about which he wrote in 1944: so thick was the murderous blackness, so thoroughly were individual fates and sufferings subsumed, weighed down, crushed by the exterminated multitudes. Treblinka—or “Ober-Majdan,” in the official German parlance—was a tiny patch of sand and pines sixty kilometers from Warsaw, where in thirteen months, from June 1942 to August 1943, close to a million Jews, and likely more, were killed. According to the “dozens” of witnesses Grossman interviewed, at least one “transport” of cattle cars came to “Ober-Majdan” every day. Those who stepped off the trains were suffocated by carbon monoxide from tank motors, by pumps that sucked the air out of the chambers or pumped in steam to force out the air, or simply by cramming between four hundred and six hundred people in each of the ten tiny chambers and keeping them there until there was no air to breathe. “Cain, where are they, those whom thou hast brought here?” Grossman cries out in “The Hell of Treblinka.” There is no answer. This soul-killing anonymity, this inability to know and to mourn every one of the dead—their “powerful minds, honorable souls, glorious children’s eyes, sweet faces of old women, the proud heads of girls, all that nature had toiled through the multitude of centuries to create and that in a vast silent stream fell into the abyss of non-being”—was for Grossman the most painful aspect of his artistic engagement with the Shoah. Grossman casts about for literary models, he even invites the reader to “walk the circles of the Treblinka hell”—but he dismisses Dante’s Inferno, later one of the tropes of Holocaust writing, as “Satan’s innocuous and empty joke” compared with Treblinka. He finally settles on a lament disguised as a sparse and meticulously factual report. First published in the November 1944 issue of the literary monthly Znamya, “The Hell of Treblinka,” which is included in The Road, is an account of no more than two or three hours, from the moment the victims alighted from their “transport” at “Ober-Majdan” to when their bodies were packed on trolleys to be delivered along the narrow-gauge rails to the giant ravines, deepened and widened around the clock by giant excavators. Grossman’s piece was probably the first detailed account of the systematic mass murder of Jews published in any language. After their bodies were killed, the Treblinka martyrs were killed again, when their last possessions, all that could have made their memorial, were destroyed. Grossman hopes to conjure these things by listing them: “letters, photos of newborns, of brothers and brides, yellowing wedding announcements, all these thousands of invaluable objects, so infinitely precious to their owners but [which] were refuse for the masters of Treblinka, were gathered in heaps and carried toward giant pits, on the bottom of which lay hundreds of thousands of similar letters, post-cards, business cards, photos, pieces of paper with children’s scribbles and their first awkward drawings in color pencils.” On his desk Grossman kept a child’s wooden block, a kubik, from Treblinka, the letters and pictures on its sides almost completely faded. Yellow, gleaming like copper, wavy thick hair, delicate, lovely hair of a young woman and, next to it, blond locks, and further down heavy black braids on the light sand, and then more and more. This must be the contents of just one, forgotten sack of hair, somehow left behind. So it is all true! The wild, last hope that it is all a dream collapses.... And it seems that one’s heart is stopping, gripped by such sadness, such grief, such anguish that is more than man can bear. As his horrific tale unfolds, Grossman is enveloped in a dread that also infects the reader. Humanity itself seems to have been murdered here, and Grossman is desperate to find anything that might redeem our species. In the interrogations of the captured Wachmänner (the guards and tormentors from the Soviet prisoners of war, mostly ethnic Ukrainians), and in his conversations with Polish peasants in the nearby villages and with a handful of survivors, he searches for instances of heroism, for an affirmation of human dignity, which to him already was inseparable from freedom, even it was only freedom to die honorably—something to which he would return again and again in Life and Fate. He learns that, as they were headed for the gas chambers, those whom Grossman called “the still living corpses” lunged at their tormentors with fists and sticks. One night a brief “battle” was fought between naked men on their way to the chamber and the Wachmänner guards who had to use machine guns and automatic rifles to bring down the rebels, their bodies strewn on the ground next to their primitive weapons: sticks, razors, a knife. A Jewish doctor-prisoner on Treblinka’s “staff” swallowed poison to avoid betraying, under torture, his comrades in the underground as they prepared the uprising. And on August 2, 1943, there occurred the Treblinka uprising itself. Carefully planned, its first objective was to destroy the camp and only then to secure the escape. Grossman rejoiced at the sight of “freedom and honor ruling” even for a few hours amid slavery and slaughter. Most precious to Grossman were the traces of the ultimate antidotes to savagery: kindness, decency, love. As it did for the late Tolstoy, love became Grossman’s last hope against hatred and barbarity, which he thought eternal and recurrent. (“We must remember,” he warns on the last page of “The Hell of Treblinka, “that fascism and racism will emerge from this war not only with the bitterness of defeat, but also with sweet memories of the ease with which it is possible to commit mass murder.” ) In Treblinka he continued the search for goodness that he had begun at the ravines in Berdichev and Babi Yar and recorded in “The Old Teacher.” In that novella, Rozental stands on the edge of the ravine with his neighbor’s little girl, Katya Veisman, in his arms. The girl had been separated from her mother in the preexecution panic. About to be shot, Rozental is desperate to find words to distract and to comfort her. The “infinite sorrow” that “grips” him is not so much the inevitability of death but the absence of the words of love in these final moments of his life. Then he hears Katya’s voice: “Teacher, don’t look that way, it will frighten you.” And, “like a mother,” she covered his eyes with her hands. treading lightly on her small bare feet, over the swaying earth of Treblinka; it was she who had walked from the “station,” from where the transports were unloaded, to the gas chambers. I knew her by the expression on her face, by the look in her eyes. I saw her son and recognized him by the lovely, un-childlike look. This was what mothers and children looked like, when they saw, against the dark green of the pine trees, the white walls of the gas chambers, this is what their souls were. How many times have I peered through the darkness at those who got out of the transports’ cars, but their faces have never been clearly visible to me—either the human faces seemed distorted by horror and everything faded in the terrible scream, or physical and spiritual exhaustion and despair obscured their faces by dull and stubborn indifference, or the carefree smile of madness blurred the faces of the people who left the transport and were walking toward the chamber. And now I have finally seen the truth of their faces, they were painted by Raphael four centuries ago—this is how man walks to meet his fate.... Their human strength triumphed over violence—Madonna walked on her light bare feet to the chamber, she carried her son over the swaying earth of Treblinka. It was she who stood in her room, for the last time holding her son in her arms, saying goodbye to him forever, scrutinizing his face, and then walking down the deserted staircase of a mute, multi-storied building. Her room is shut by a wax seal on the door, a car is waiting for her downstairs. What strange and watchful silence surrounds her in this ash-gray dawn, how silent are the tall buildings around. After Grossman’s death, two envelopes were found among his papers—letters to his mother written on the ninth and the twentieth anniversary of her execution, September 15, 1950, and September 15, 1961. Grossman wrote to her about entering her house in Berdichev in winter 1944, about questioning the neighbors, about trying to imagine how “you walked to your death” and “the man who killed you.” He wrote that so long as he lived, so would she. She would not die also because she was in his work of the “past ten years”—in Life and Fate, which is dedicated to Ekaterina Grossman—and because the “love and devotion that I feel for people is central to this work.” “And it seems to me,” Grossman ends one of the letters, “that my love and this terrible grief will never change until the end of my days.” And even beyond, we may add, because he transformed this love and this grief into great art. Leon Aron is a resident scholar and director of Russian studies at the American Enterprise Institute. This article originally ran in the April 28, 2011, issue of the magazine.